With news that the global blockchain market could reach $7.7B by 2024, the conference had its eyes set on helping to shape the future of the industry. Hong Kong, November 13th, 2017 – Blockchain technology platform DECENT was pleased to present the Unchained Conference. More than 100 elite blockchain experts from around the world gathered in Hong Kong to discuss and explore this cutting-edge technology. The conference was uniquely purposed to help guests connect with blockchain industry leaders and innovative cryptopreneurs. Tech disruptors, payment processor experts, investors and other thought leaders were all in attendance – and with just 120 exclusive seats, the event was an intimate opportunity to connect without all the noise of a traditional conference. 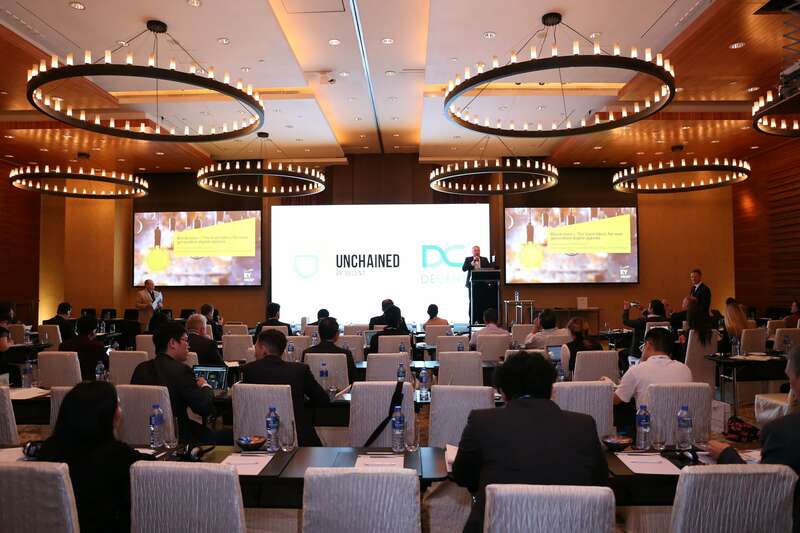 The Unchained Conference brought together industry leaders to discuss a range of topics in the blockchain realm – from how the technology can save the entertainment industry, to how it will disrupt funding and investment. Throughout the conference, discussions and presentations by several elite blockchain experts captivated the audience. Founder, President of DECENT, Matej Michalko, dove deep into blockchain as he discussed a few of the many use cases which have been discovered. His vast experience and understanding of blockchain were on display in his presentation of their proprietary blockchain technology, DCore, and the crowd shared his enthusiasm about the topic. Another top speaker at the event, Kalvin Feng, CEO of Dragonfly brought his knowledge and insights in the field of “Disrupting Industries – Blockchain in Gaming”. The China based project pioneered an integrated mobile gaming application marketplace which now reaches more than 100 Million monthly active users worldwide. The Unchained Conference in Hong Kong proved to be very successful in bringing together heavyweights within the blockchain community. More influential events like this will undoubtedly lead to new collaborations and the creation of future innovative projects. Looking forward to see what comes next for blockchain integration.